Some areas of the country are starting to warm up, getting ready to welcome spring. 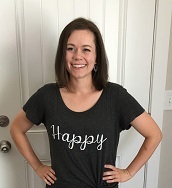 As much as I'm ready to pull out the ice cream and flip-flops, I have lived in Utah too long to think that warm weather is here early! I am just gearing up for the next snow storm, and what better way to warm up during a storm then a bowl of homemade soup? Sometimes I really crave just a simple, broth-based soup, but other times I really want something a little more hearty and substantial! When looking for new recipes to try, it's helpful to know that the name of a soup or stew can help you get a general idea of what's in it, making it a lot easier to hunt through recipes to find what you're looking for! 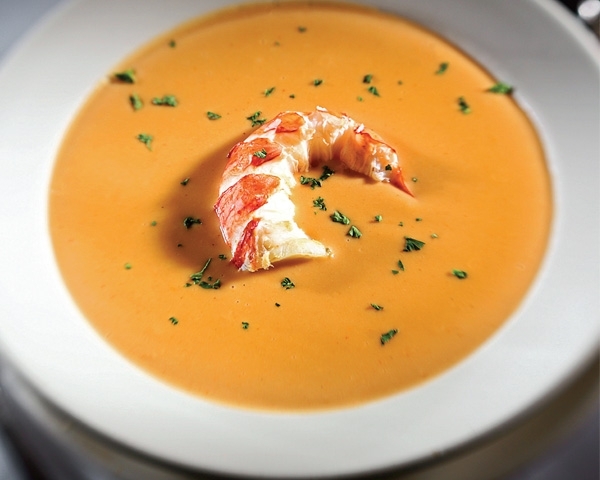 Bisque: A thick, creamy soup. It's usually made using some kind of shellfish, but it would be so easy to substitute chicken or beef if seafood isn't your thing. Chili: A chunky, filling meal. The most common recipes use tomatoes, beef, and spices such as chili powder or cumin, but there are a few variations known as 'white' chili that use white beans and chicken as their base. Chowder: Thick, chunky soup that is usually made with seafood or veggies (typically corn). They typically have a dairy base, such as milk or cream. Consomme: made using stock and egg whites. It will actually thicken and set as it cools. It is generally used more as a dip or appetizer, and is a clear golden to dark brown in color. (The most typical uses are French onion soup and French dip sandwiches). Creamed Soups: puréed, smooth and silky. They can be made with or without cream and often have one overlying flavor (e.g. broccoli). 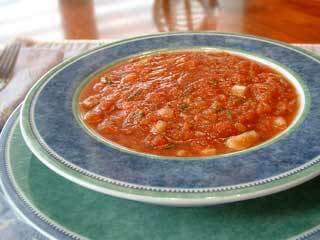 Gazpacho: A cold veggie soup. It is best to make it with fresh vegetables and herbs, so it is an ideal summer soup, and a great way to use all the vegetables from your garden! Gumbo: A Southern, hearty dish. 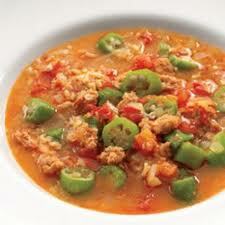 It is similar to chili, but often served with rice and okra. It can use a variety of veggies and meats (e.g. chicken, shrimp, sausage), and usually has a broth base. Stock/broth: Made from the liquid that is resulted when cooking meat, veggies, and meaty bones in water. They are used as a base in many soups and recipes. Generally, stock is made from the liquid when cooking bones, and is strained and cooled, so that excess fat can be removed off the top once it's cold. 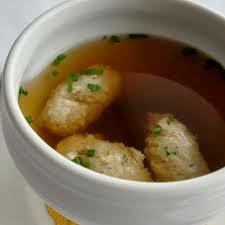 Broth is generally made from the liquid that results from meats and veggies, and generally has more fat than stock. The two can often be used interchangeably, depending on the needs of a recipe. I have included one of my favorite soup recipes—a copycat Chili's Chicken Enchilada Soup. It is rich, creamy, cheesy and so good! We often forget about the spoon and just eat it with chips! This is a creamy, cheesy soup that is both delicious and filling! Serve with crumbled tortilla chips, pico de gallo and shredded cheddar cheese for some extra deliciousness! 1. Add 1 tablespoon of oil to a large pot over medium heat. Add chicken breasts to pot and brown for 4-5 minutes per side. Set chicken aside. 2. Add onions and garlic to pot and saute over medium heat for about 2 minutes, or until onions begin to become translucent. Add chicken broth. 3. Combine masa harina with 2 cups of water in a medium bowl and whisk until blended. Add masa mixture to pot with onions, garlic and broth. 4. Add remaining water, enchilada sauce, cheese and spices to pot and bring mixture to a boil. 5. Shred the chicken into small, bite-size pieces and add it to the pot. Reduce heat and simmer soup for 30-40 minutes or until thick. 6. 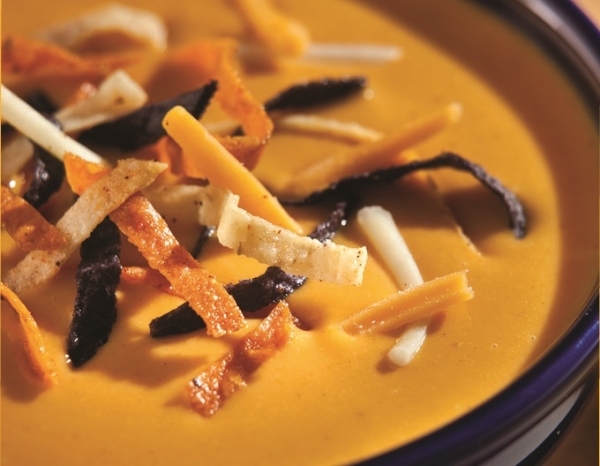 Serve soup in cups or bowls, and serve with cheese, chips, and pico de gallo.